Oh, here’s the Theme Reveal! Love your theme this year. And I hope I can do both Alaska and the Snowman justice! Bits about Alaska and the Snowman will be cool! Good luck with the challenge. Looking forward to learning about your new book. Thanks Tamara, I look forward to learning more on your blog this year! Sounds like perfect timing for you, Yolanda. ☺ Looking forward to reading more about 'The Snowman'. Happy A to Z-ing! 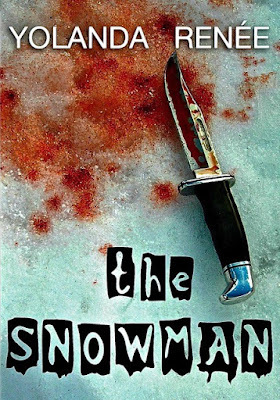 The Snowman is a nasty character, but it was fun to write about him. Not sure why. Hmm. . . Happy A to Z ing to you too. I'm looking forward to your musical memories! Hi Yolanda, good to see you back! 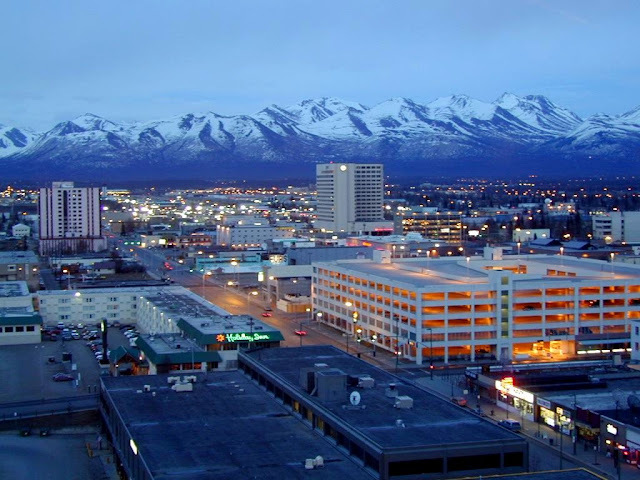 I haven't read that book but I'll still drop in because Alaska is a fascinating area I'd like to visit one day! Love the picture! It's a beautiful place, even the city! We'll be seeing a lot of each other in April! Wow, what a picture. Never been to Alaska, but that's sure an enticing photo. Looking forward to your start in April. Fortuitous timing for you, well done! You can catch my A to Z reveal at JohnDavisFrain.com. Also about murder ... but more in a Wile E. Coyote kinda way. And nothing as breathtaking as Alaska unfortunately. Good timing, Yolanda! You have a perfect theme. I hope so, Pat, taking a short cut this year, but there's just so much going on! Still, it'll be fun. Love all the new ideas! Great time for the A-Z. They set it up just for you with that book coming out! Should make a difference! I wish you all the best! And you Americans and your spring! Half of the world has just moved into autumn, and none too soon here in Oz. Thankfully, the temp has dropped a few degrees~and I feel a little humanoid again LOL! Fall would be welcome too, just not the snow and ice! But it's almost gone. I don't like summer either, but what can you do, but deal. Got you on my list, and hey the WEP entry is done too! Been busy! Snow is best left in books this time of year! Looking forward to your posts! I look forward to reading your next release! 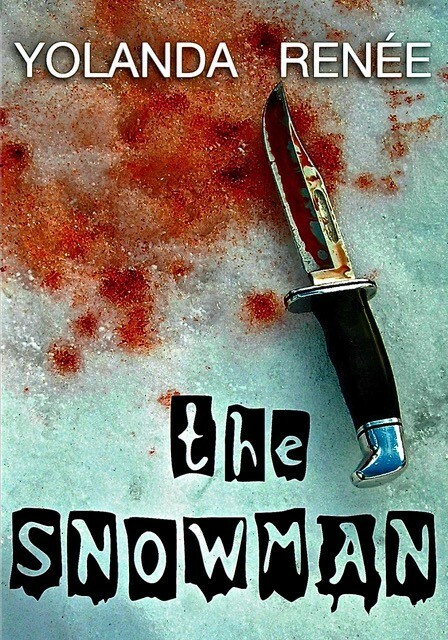 That Snowman cover image with the bloodied knife is striking...a winner! Looking forward to a month of your delightful peeks into world of Snowman. I'm thrilled Deborah! Thank you! Stowy is a fascinating character. Have fun with A to Z! I'll be there with bells on! Thanks! Look forward to finding out more. Good luck! Convenient timing for spreading the word about your book. Hope you do well. Happy A to Z Blogging! Stowy sounds like a fascinating character! I'm sure this is going to build even more excitement for your books! What a great A-Z theme and I hope you have a slammin' morning Yolanda. I enjoy getting glimpses into fiction during the A to Z Challenge. I look forward to giving that glimpse! Your Stowy sounds interesting and I'm looking forward to reading all the posts! I look forward to hearing/reading your comments! Good luck with the theme and I look forward to the snippets. Sorry for my tardiness in responding to your visit to my blog - it's been a bit mad! Ooh I can't wait to read your posts. I'm working on another Alaska story and I'm obsessed with the place. Partly because I actually love cold weather so it's fun to immerse myself in a cold and snowy place when the heat is making a comeback here at home. Good luck with the challenge!